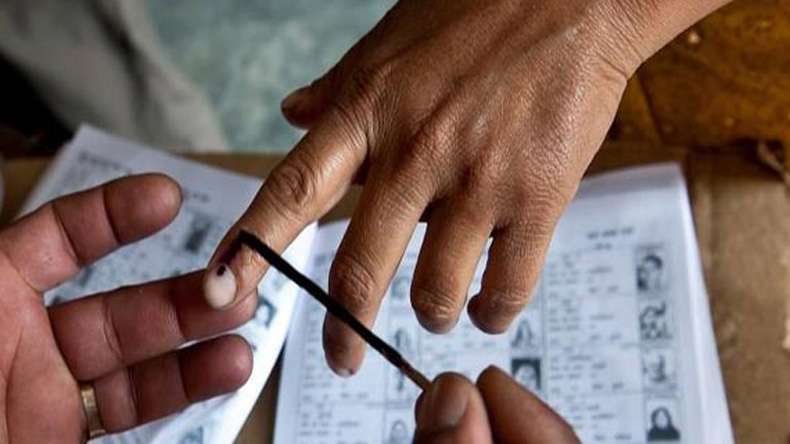 Ahmedabad: Gujarat goes to the polls on today for the first phase of the assembly election being held in 89 seats of Saurashtra and South Gujarat regions with 977 candidates in the fray. The second phase of the high-stakes election - with the BJP making a bid for a fifth term and the Congress attempting an electoral revival - will be held on December 14. After a campaign that often turned vituperative, around 2.12 crore voters are expected to exercise their franchise in Modi's home state on Saturday to choose between the ruling BJP and the Congress. Prominent candidates in the fray for Saturday's battle include Chief Minister Vijay Rupani, who is contesting from Rajkot (West), and Congress' Shaktisinh Gohil (Mandvi) and Paresh Dhanani (Amreli). The high voltage campaign for the first phase ended on Thursday evening. Sparring between the two parties while canvassing for the polls, viewed as a prestige battle for Prime Minister Narendra Modi and a litmus test for the leadership of soon-to-be Congress chief Rahul Gandhi, continued till the very end. On Thursday, the Congress suspended its leader Mani Shankar Aiyar for referring to Modi as a "neech kism ka aadmi" (vile sort of man), triggering a controversy just ahead of the election. The campaign shaped up as a duel between Modi and Gandhi and often turned personal. The poll narrative kept changing with issues such as the Ayodhya title suit, Gandhi's imminent elevation as Congress president and his visits to temples being raised by BJP leaders. Gandhi emerged as the Congress' pivot to take on the might of the prime minister on his home turf. While Modi addressed about 15 rallies, Gandhi spent more than seven days in Saurashtra and south Gujarat, addressing a number of meetings. BJP president Amit Shah, the chief poll strategist of the saffron party, also addressed a number of rallies, mainly targeting the Congress and Gandhi. The BJP drafted in Union ministers Arun Jaitley, Rajnath Singh, Nirmala Sitharaman, besides Uttar Pradesh Chief Minister Yogi Adityanath, Rajasthan Chief Minister Vasundhara Raje and Madhya Pradesh Chief Minister Shivraj Singh Chouhan. The Congress fielded former prime minister Manmohan Singh and prominent leaders such as P Chidambaram, Jyotiraditya Scindia and Sachin Pilot to canvass for votes. The second phase comprises 93 seats in north and central Gujarat. The counting of votes will be taken up on December 18.